Bioline produces high quality fulvic acid and humic acid products. We have a unique approach to our extraction process. Our innovative method differentiates us and the potency of our products from the rest of the market. We produce our highly beneficial, naturally-occurring organic acids, through a patented extraction process that uses spent mushroom compost as the source of our humic substances. Mushroom farms use a highly controlled aerobic process to produce a nutrient enriched compost. Our fulvic acid complexes are formed from microbial activity as part of the composting process. Good quality mushrooms, and mushroom farming starts with good quality compost. Tight control and monitoring of the composting process results in the generation of higher concentrations of highly active fulvic acid. As the mushroom mycelium grows and spreads, even more fulvic acid complexes are formed. Thus, the process of growing mushrooms itself generates more fulvic acid. Given the high solubility of fulvic acid, we only need to use water to extract it from spent mushroom compost. Our extraction requires no heat, pressure, mechanical energy, chemicals or biological inputs. 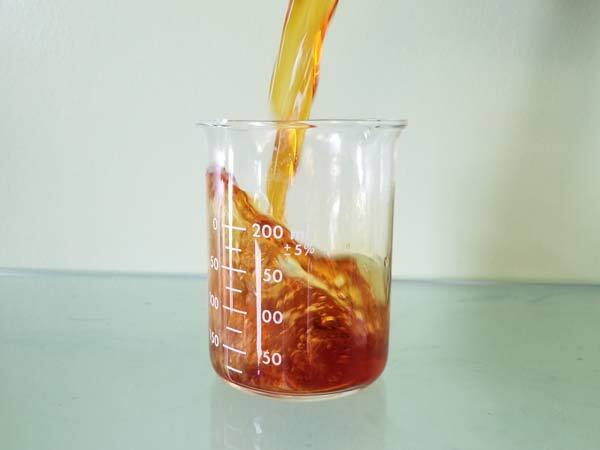 The crude extract produced requires substantial and difficult separation and purification techniques to achieve the purity, shelf-life stability, and overall quality of our BioLiNE Gold. Bioline® Gold, our flagship product, is a highly potent fulvic acid solution. Bioline Gold is generated using our advanced production facility in Ontario, Canada. It is the first product powered by our propitiatory FulvIQ™ purification process. Intelligent process engineering, and more than six years of advanced research has culminated into the roll-out of our process. The evolution of our patented process for the extraction, separation, refinement, and purification of fulvic acid brings to market a new generation of highly active biostimulants. What makes Bioline Gold so exceptional? Fulvic acid is typically extracted with humic acid from oxidized coals such as Leonardite. The extraction requires high concentration of chemicals, heat and pressure. Our fulvic acid is extracted without the use of any harsh chemicals. Furthermore, our process is carried-out under ambient condition, and the fulvic acid complexes are never dehydrated. Together, all these factors eliminate the opportunity for thermal, physical or chemical degradation or alteration of our fulvic acid. Therefore, our gentle process protects the natural formation and potency of the active ingredients. Purified fulvic acid is hard to find. With our product you pay for fulvic acid and you get only fulvic acid. Our product is purified through a multi-staged process where all other organics including humic acid complexes have been removed. Our product is clear, and completely free of any particulate matter. The purity of our BioLiNE Gold is indicated by its low ash content. Whether combining with other organic or conventional inputs, BioLiNE Gold is compatible. We have tested our product in combination with various other inputs of differing pH, nutrient loading, and active ingredients. Our BioLiNE Gold is highly stable and compatible. Let us test our fulvic acid for your product. Growers want a biostimulant product that invigorates microbial activity in their soil, not in the bottle. Through our proprietary FulvIQ™ process we purify our product of any micro-organisms. Under normal storage conditions our BioLiNE Gold has a long-shelf life. Many organic-sourced products have poor shelf-life. Over time and due to microbial action solids settle-out, product color can change, bottles can bloat, and a very foul odor can evolve. Many of these changes are because the organic matter in the bottles is a source of food to microbes. Due to the lack of air in the bottles, anaerobic conditions take over releasing methane, sulfides, ammonia, and other nasty smelling hazardous odors. Humic substances including fulvic acids are highly resistant to further microbial degradation. They are not food for microbes. They stimulate microbial activity in the soil by facilitating the exchange of numerous items such as: nutrients, enzymes, electrons, and organics. The exchange can occur among microbes, and between the microbes and the soil particles, applied nutrients, and the crops. This exchange stimulates and improves the microbial activity as well as the microbial balance of the soil. For example, soils rich in fulvic acid have higher ratios of fungi-to-bacteria than soils with poor fulvic content. The Bioline® process was engineered from day-one with sustainability in mind. Creating value out of waste, the BioLiNE® process gives a second-life to waste generated by mushroom farms. Through our innovation we enable the up-cycling of spent mushroom compost (SMC). Our process generates a highly effective bio-stimulant, our BioLiNE Gold. As a by-product we also up-cycles the post-extraction residual solids as growing media to enrich soils and grow plants. For every ton of SMC we up-cycle we reduce 2,500 lbs of CO2E in GHG emissions. Join us on our Journey to Sustainability. 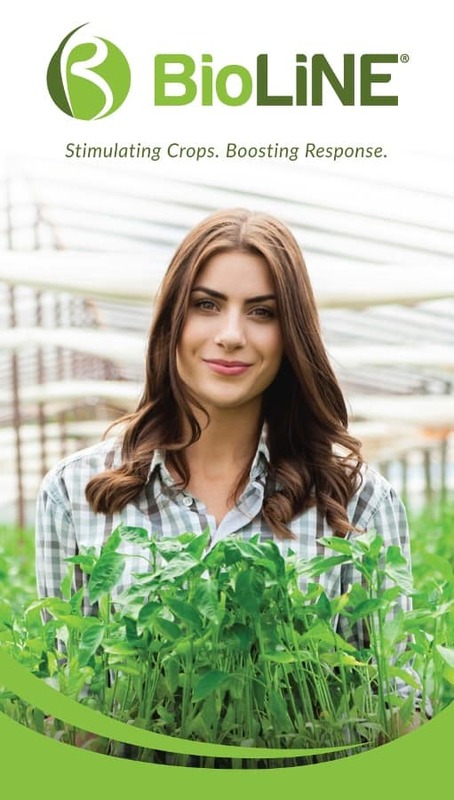 What is fulvic acid, and how does it help Growers? Fulvic acid is the smallest sized (MW < 10,000 Daltons), most active fractions of humic substances, meaning they will incite the greatest response from any plant or animal. They are the fraction of humic substances that are soluble in both acidic and alkaline conditions. The term fulvic acid, much like humic acid does not refer to a single discrete molecule or polymer, but rather to a complex combination of numerous organic molecules. In general, fulvic acids have twice the oxygen content of humic acids with many more carboxyl, and hydroxyl functional groups. Due to their very small size fulvic acids can penetrate through the cell wall and deliver nutrients directly to assist in cell function. Fulvic acid is also the rarest of the humic substance species in the soil, peat, coal, and other sources of humic substances. Fulvic acid functions at multiple levels to enhance crop yield. It enhances nutrient uptake and efficiency, it is a biostimulant that invigorates soil microbial activity, and improves the physical properties of soils. The application of fulvic acid at crop establishment, and as a foliar at different stages of growth improves the overall health of crops, ultimately leading to higher yields. Fulvic acid increases the plants ability to carry-out photosynthetic reactions increasing the formation of carbohydrates (sugars) leading to higher brix (sugar content) in corn, fruits, vegetables and other produce. Fulvic acid also improves transpiration rate, intercellular levels of ATP, and CO2. Fulvic Acid has been shown to enhance total soluble solids, antioxidant activity, total phenolics, carbohydrates, capsaicin, and carotenoids in crops increasing the quality of produce including weight, size and vitamin content. When fulvic acid is used in seed coat formulations or applied in-furrow, it helps to nourish the plant post emergence, helping it fight of stress in the earliest stages of plant growth. By doing so fulvic acid improves the probability of a healthy plant. Stress from the conditions in the soil and environment can have substantive negative impact, and fulvic acid shields the plant from these stressors. Healthy high yielding plants require healthy roots. Fulvic acid improves root growth, branching and overall health in several ways. It retains and exchanges essential nutrients with the roots, it eliminates stress from high concentrations of soluble nitrogen (nitrogen burn), enhances the microbial ecology in the rhizosphere (root zone) and stimulates cell division in the roots increasing root length and branching. Fulvic acid has been shown to improve the resistance of crops to drought, and enhance the plants natural defences against insects and various diseases. Studies have also shown that the use of fulvic acid can buffer pH and protect plant roots from acidic or alkaline conditions in soils or hydroponic environments. Fulvic acid can help crops establish and thrive in high salinity soils. Fulvic acid can also remediate stress on crops from either deficiencies or excessive concentrations of certain micronutrients such as Ca, Al, Se, Pb and many others. How Does Fulvic Acid Work? What Does it Do? The cation exchange capacity (CEC) of fulvic acid (1400meq/ 100g) is the highest of any naturally occurring substance on the planet. It is almost 3x of humic acid (450 meq/100g) and almost 50x of a typical organic rich clay-loam soil (15-30 meq/100g). Thus, fulvic acid molecules can retain and more importantly exchange huge amounts of nutrients, benefiting the plant, the soil, and the various micro-organism in the soil. Fulvic acids are very small. They are small enough to penetrate cell walls meaning that they can exchange nutrients, as well as other organic molecules highly efficiently, at a cellular level. A highly pure fulvic acid product, like BioLiNE Gold, can be used in multiple ways. It can be applied to the soil, used as seed coat, or mixed with fertilizers, pesticides, insecticides, fungicides or other inputs. It can be applied in-furrow, as foliar, in irrigation systems, or an ingredient in hydroponic systems. Regardless of the method of use, fulvic acid boosts the plants response to the nutrients that are made available to it. Fulvic acid has the capacity to chelate both cations and anions. Chelation is really the wrong word, because chelators such as EDTA can grab cations like iron (Fe) and keep them in solution but they are reluctant to let them go to. Fulvic acid easily grabs and releases both cations and anions. Thus, being able to retain and exchange nutrients such as nitrates, sulphates, phosphates which are anions. Fulvic acids are heterogenous complexes with both hydrophilic (likes water) and hydrophobic (rejects water) moieties. Both the hydrophobic and hydrophilic fractions are beneficial to plant health and stimulate microbial activity. The hydrophilic fractions are more involved in the nutrient exchange and interactions between fulvic acid with cations and anions. Fulvic acid on its own and in tandem with other particles and colloids in the soil, improves the moisture holding capacity of soils. Fulvic acid has been used extensively in hydroponic applications to buffer the pH. It has similar pH buffering properties in both acidic and alkaline soils helping crops thrive. In high saline soil the high cation exchange capacity of fulvic acid retains the excess salt allowing for the plant to thrive and reducing the high osmotic pressure in the rhizosphere. Fulvic acid carries and exchanges nutrients and other organics such as carbohydrates and amino acids to microbes, improving and enhancing their activity helping to increase the quantity and health of plant beneficial microbes in the soil. What are the Applications for Bioline® Gold? Bioline® Gold should be used in seed-coating formulations as an ingredient to enhance germination and protect against post-emergence stress. Either on its own, or preferably as part of your starter fertilizer program, Bioline® Gold should be incorporated to help your crop have a healthy emergence. Our Bioline® Gold is compatible with any formulation, let us test your product. Bioline Gold® is an important addition to foliar applications or for use in irrigation systems. In combination with micro and macro-nutrients it improves nutrient uptake, nutrient efficiency, and enhances your crops health. When combined with common pesticide and fungicide sprays, it will help your plant withstand the stress. Bioline® Gold is essential for hydroponic growing of any plant. It plays a crucial role in pH buffering, improves photosynthetic reactions, nutrient uptake and efficiency. It improves the strength and size of roots, enabling a hydroponic operator to increase the nutrient loading, and reap the benefits of a higher percentage of nutrients being bio-available to the plant. The benefits of Bioline® Gold for agriculture also extend to other plants and living organisms including: various potted plants, trees, flowers, and of course luscious turf and immaculate golf greens. 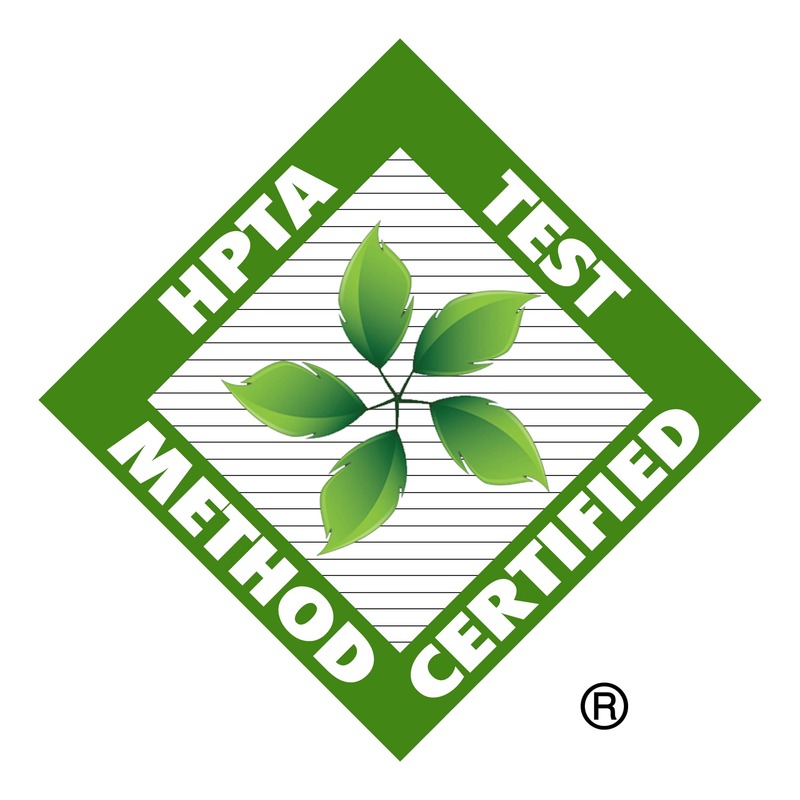 As a member of the Humic Products Trade Association (HPTA) we are highly supportive of the development of a new standard method aimed at enabling a more accurate means to measure and compare products in the marketplace. The HPTA method is used to quantify the hydrophobic fraction of fulvic acid. Although this method does not address the quantification of the hydrophilic fractions of fulvic acid, which make up about 50-70% of fulvic acid, it is the best method that we have encountered to date that addresses the inflation of the quantity of fulvic acid reported by other methods and impact of some potential adulterants. In August of 2018, the method was he analysis of humic acids and hydrophobic fulvic acids in commercial humic products. 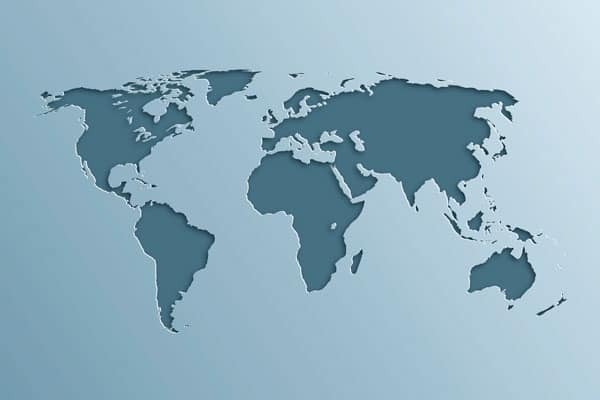 The new international standard (ISO 19822:2018) was approved by the International Organization for Standardization (ISO) as ISO 19822:2018. The method is also approved by the Association of American Plant Food Control Officials (AAPFCO). BioLiNE Gold is available to International customers. BioLiNE can be purchased in bulk tanker loads, 275 USG (1000L) totes, or 2.5 USG (10L) jugs.